What is Scoot West Coast? 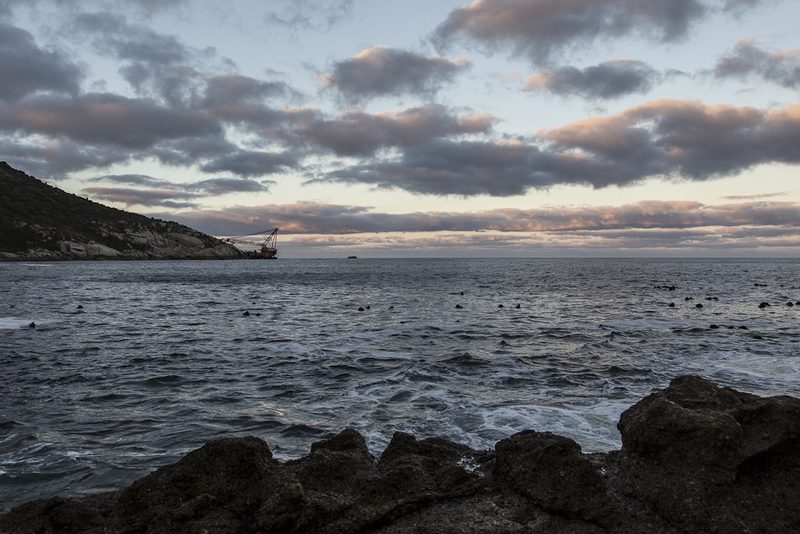 The Cape West Coast is a region of contrasting landscapes that conjure up evocative images in one’s mind. 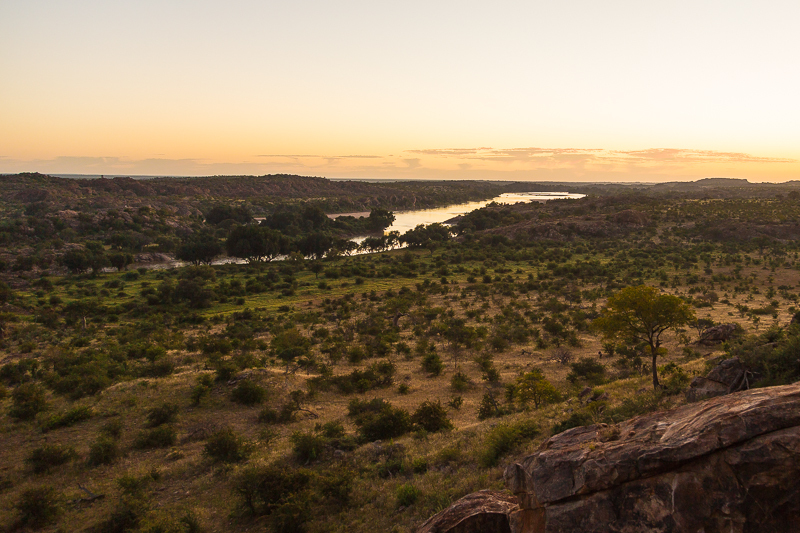 Stretching over 400km from south to north, the area offers an amazing variety of experiences and destinations, all with a special West Coast flavour. Scoot West Coast is the epic adventures of four friends on two wheels journeying through this region, rediscovering the West Coast and its hidden gems. 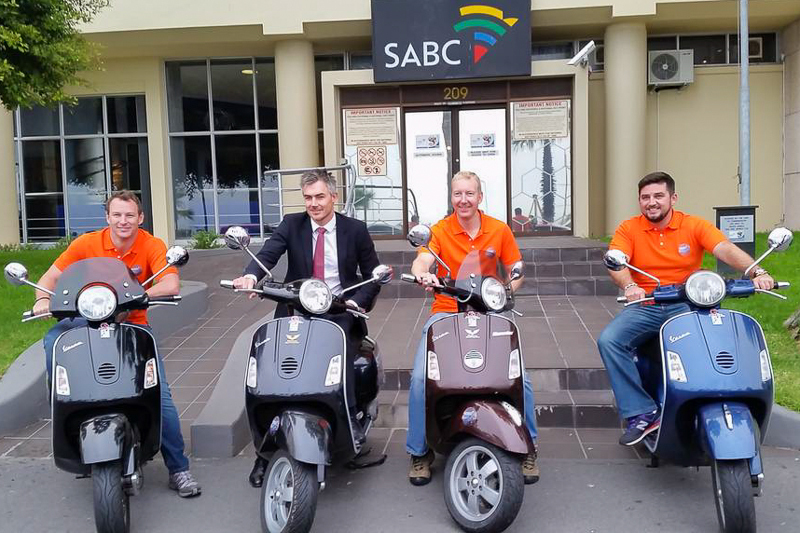 When we aren’t on our scooters we will be learning about culture, photographing birds, trying to stay upright on SUP boards, tasting bokkoms, sampling wines,cruising down rivers, and for some, skydiving in Malmesbury will mean rediscovering Fears! Who are these fearless four? A couple of weekends ago I was lucky enough to visit Agulhas National Park for the third time in as many years. 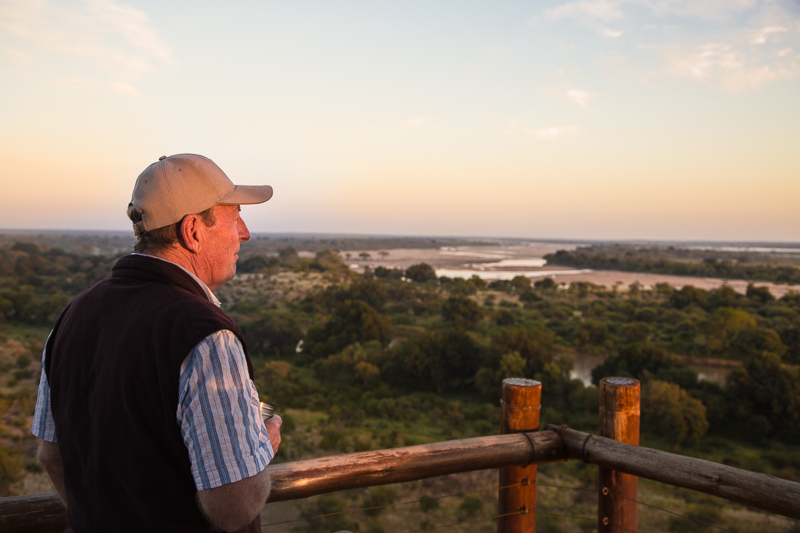 (see my previous trip here) The occasion was the official opening of their new Rest Camp chalets and I must admit there was something quite nice about being the very first person to stay in one of the new thatch-roofed log cabins. The crisp new linen and fresh, fluffy towels. Carbon copies of the existing chalets they have added several extra single and double room units with a few modern improvements like fancy fireplaces to keep you warm in winter and sealing around the edges to ensure the wind doesn’t sneak through under the thatch (a fix they will be applying to the older units as well now). My only criticism of the chalets is that they are built quite close together and some of the new ones have been built behind the old ones, but if you can get one of the front units and even better one of the units on the end you can wake up to uninterrupted views like this everyday so my advice would be to call the SANParks booking office after making your booking as ask if one of the front units are available when you go. 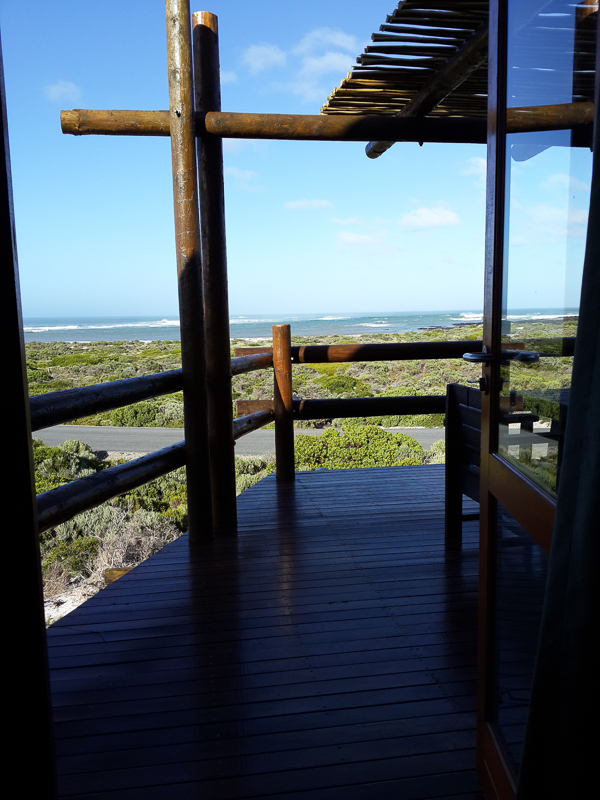 Agulhas might not have the big five like Kruger but it has its own unique appeal. Less than 3 hours drive from Cape Town at the southernmost tip of Africa. You can explore the coastline or follow the hiking trails through the fynbos or just sit out on the deck of your chalet and finally finish that book you started reading weeks ago. A visit to Agulhas wouldn’t be complete without a visit to the southernmost tip of Africa, which is where the Atlantic and Indian Oceans meet. Something I’ve never been able to do before and which I would recommend is climbing up to the top of the lighthouse. To get to the top you ascend three very steep wooden ladders that creek and groan followed by an even steeper final steel ladder, the walls of the tower close in around you. 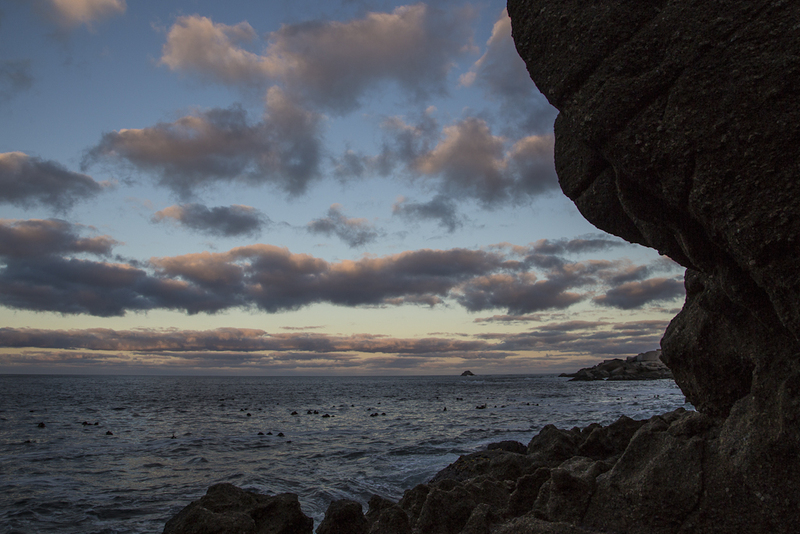 Emerging through a heavy hatch at the top you are treated to a 360 degree view of Cape Agulhas and if you look closely, you can even see the bulb that is responsible for helping so many ships navigate safely past this treacherous piece of coast. 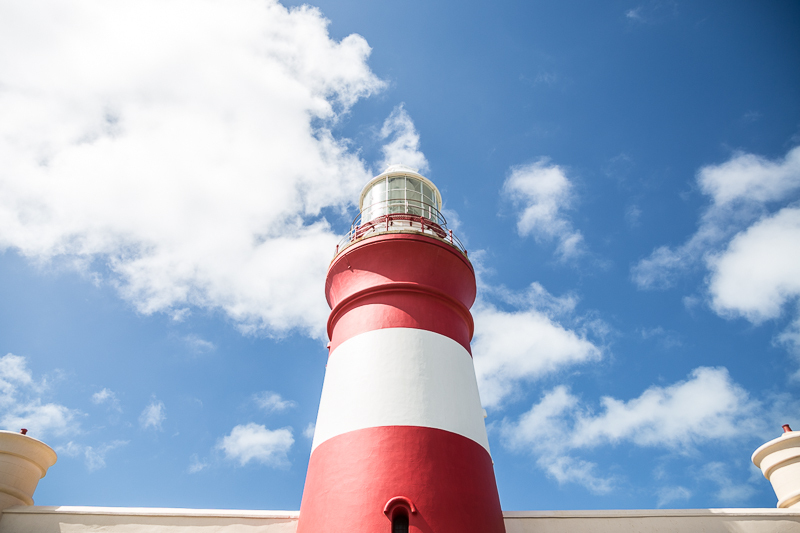 If you’ve never been to Agulhas, or like me, have been but never had the chance to go up the lighthouse then why not plan a trip to southernmost tip of Africa. And whether it’s a weekend away or part of a longer Garden route road trip you can rest up in the serenity of Agulhas National Park. Last weekend I got the chance to be a tourist in my own city with a good friend Nicole Biondi, the chance to explore Cape Town without the usual responsibilities of making sure I had enough milk for breakfast, remembering to switch the geyser back on and having to hang out washing. Yes, it’s not having to worry about these everyday things that makes one feel like they are on holiday. What better way to start the adventure then a city sightseeing bus tour. Starting in Seapoint we wound our way along the coast to the Waterfront on what could only be described as a beaut of a winter’s day. A few weeks ago I was privileged enough to be part of a media team invited to document the first flight of the Paramount Group and Aerosud’s AHRLAC – Advanced High Performance Surveillance and Reconnaissance Aircraft. The aircraft features a twin-boom, high-wing, single-pusher-engine configuration, using a Pratt & Whitney Canada PT6A turboprop engine, with a crew of two seated in tandem. AHRLAC serves the purpose for the intelligence, surveillance and reconnaissance and counter-insurgency missions; coastal patrol, anti-smuggling and disaster relief capabilities. It was amazing to meet the passionate and dedicated crew that have worked for so many years to make this concept come to life and to be on the ground as the wheels lifted off the runway for the first time. There was exciting and relief at the same time. Here is a short video of this momentous occasion. Paging through the official event magazine for this year’s Cycle Tour I came across this advert for the West Coast National Park and just thought I’d share it because, well, the image is a photograph I took on a clear morning back in 2012 just after sunrise. Update: The official results are in and even though the wind made for tough conditions on the day I achieved my goal finishing in 4 hrs & 26 mins with an average speed of 24.58 km/h and finished 21st out of the 518 in my start group. 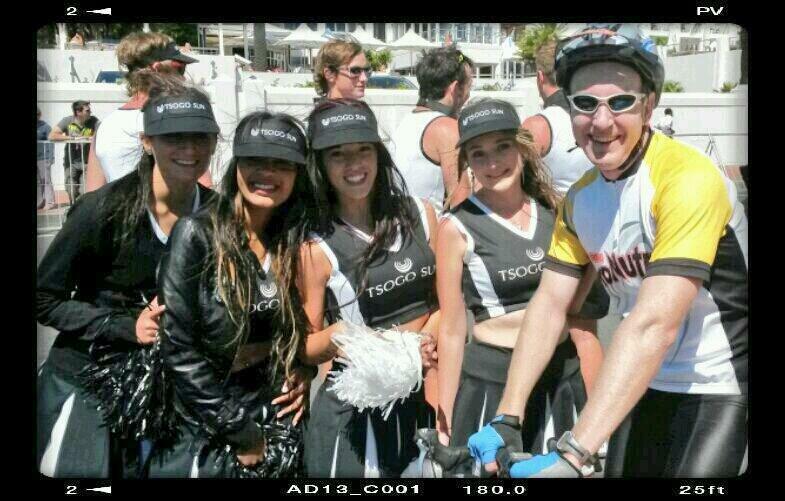 I even had time to stop and chat with my friend Guy McDonald who was MC at the Tsogo Sun supporters spot in Camps Bay and took this pic of me with some of the cheerleaders on the side of the road. All in all a good Argus and a time to beat for next year. 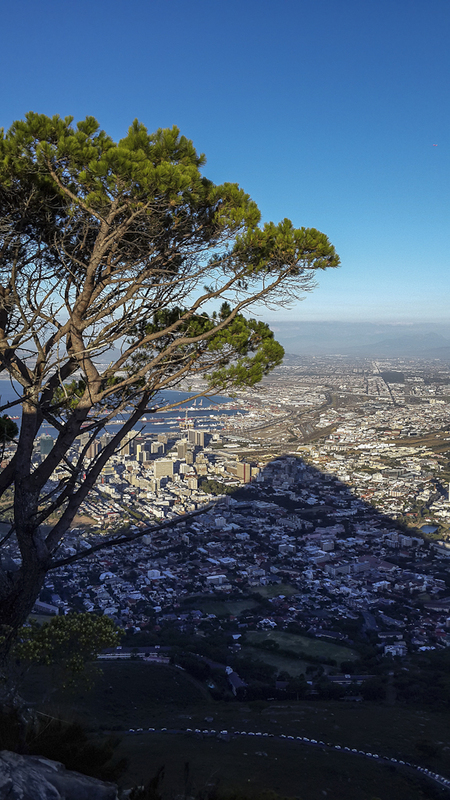 For the last two years friends and I have started the year off with a hike or two on the numerous mountain peaks that surround us in Cape Town. 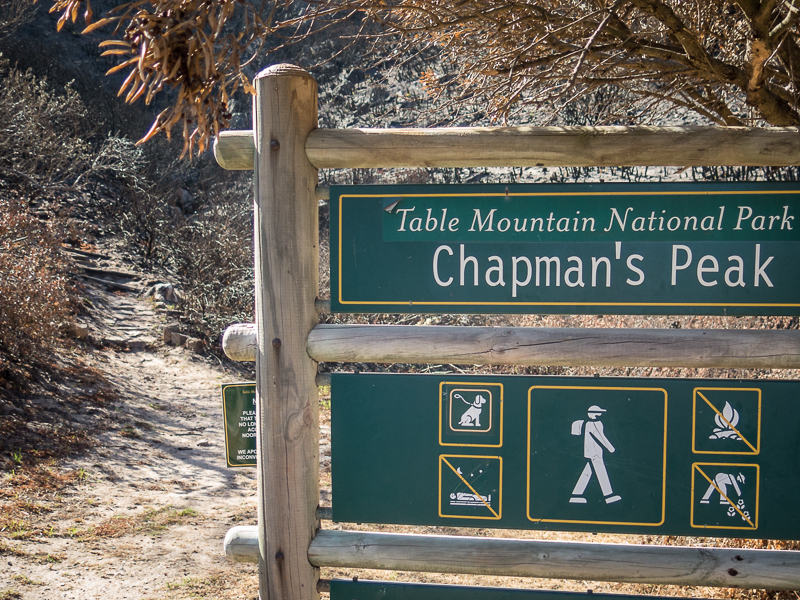 While enjoying ourselves on these hikes we’ve all been guilty of saying that we really should do it more often given the proximity and access to great hiking trails we have in our very own city. Then work starts getting busier, our social calendars get booked up and inevitably the hikes become fewer and further apart until it’s the end of the year again and as everyone gets bored os sitting on the beach we end up hiking again. Well not this year, 2014 is going to be different.